Forecasting, pattern recognition, and optimization problems are a part of your business. Tap the power of neural network and genetic algorithm artificial intelligence software techniques to transform your problems into solutions. Easily apply artificial intelligence, neural networks and genetic algorithms yourself with low cost software, free assistance and advice from a company that has been in business since 1982 helping thousands of customers solve real problems! without any coding or programming required! 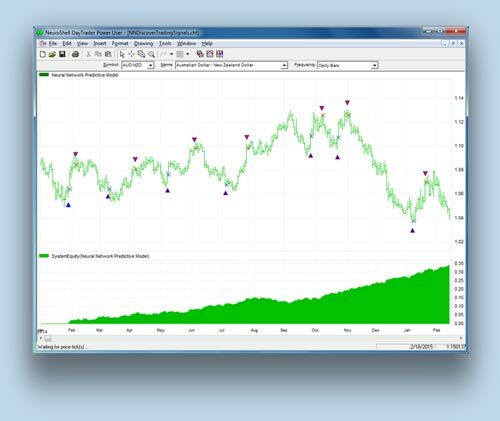 Trading software for creating trading systems using technical analysis rules, neural networks or hybrids of both. 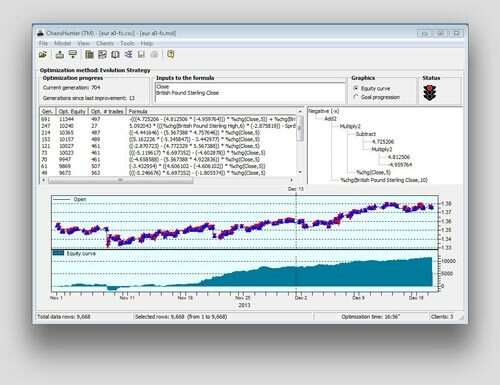 Optimize and test trading systems with walkforward genetic algorithm optimization and out-of-sample data evaluation. Create trading systems in MINUTES, not hours or days. Identify strategies that fall apart in trading BEFORE you trade them! Forecast price movements with neural networks. Send trades to your brokerage with AUTOMATED trading. for the last 13 years in a row! Generate mathematical equations that model your numeric data! A software tool for science, business and market trading designed to produce readable formulas that model your numeric data. Creates more dynamic formulas than regression analysis. Based on artificial intelligence techniques similiar to Genetic Programming. Produce buy/sell signals for financial markets. Predict future time series values, including market prices. Modeling business financial or sales data. Predict the outcome of sports matches. and estimation problems with ease. A neural network software product which contains state-of-the-art neural network algorithms that train extremely fast, enabling you to effectively solve prediction, forecasting and estimation problems in a minimum amount of time without going through the tedious process of tweaking neural network parameters. Designed to be extremely easy to use, this software contains our most powerful neural networks. 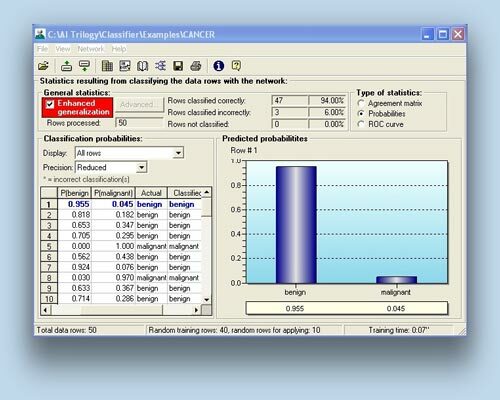 Learn more about NeuroShell Predictor ... A neural network software product which excels at solving classification and decision making problems. NeuroShell Classifier can detect categories in new data based upon the categories it learned from case histories. Uses our most powerful and latest proprietary neural network and genetic classifiers with no parameters to set. Learn more about GeneHunter ... 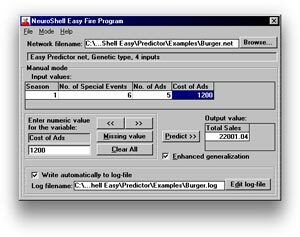 The NeuroShell Run-Time Server allows you to fire neural networks created with the NeuroShell Predictor or NeuroShell Classifier from either a simple interface, from your own computer programs, from Excel spreadsheets or from a web page (Windows based servers only). That means you can use the neural network models with new data without using our interface. genetic algorithm products for business and science. The AI Trilogy contains the NeuroShell Predictor and NeuroShell Classifier neural network software, GeneHunter genetic algorithm optimizer and the NeuroShell Runtime Server. You’ll have all the tools you need to set up an Artificial Intelligence Center utilizing state-of-the-art neural networks and genetic algorithms. 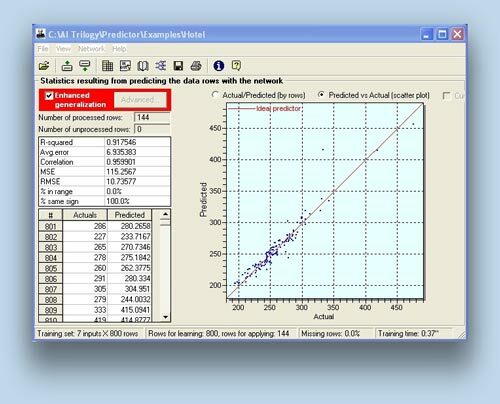 Solve prediction, forecasting and estimation problems with the neural networks foudn in the NeuroShell Predictor. Solve classification and decision making problems with the NeuroShell Classifier neural network software. 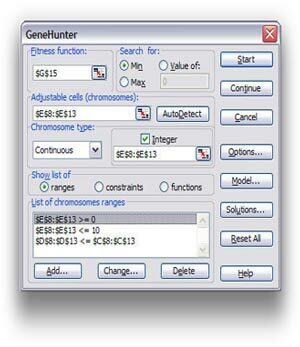 Optimize problems in Excel or your own computer programs using the state-of-the-art genetic algorithm methodology found in GeneHunter. Fire neural networks in Excel spreadsheets, from your own computer programs or from a web page using the NeuroShell Run-time Server. Our legacy neural network software targeted towards computer science instructors and students. It contains classic neural network algorithms and neural network architectures popular with graduate school professors and computer science students. Learn more about Classic Neuroshell ... Allows you to embed the power of the NeuroShell Predictor and Classifier neural networks, INCLUDING neural network training, into your own programs. An Active X control that can be loaded into your Visual Basic, C++, or C# programs. Which Artificial Intelligence Software is Right for Me? support@wardsystems.com Copyright © 1997- 2019 Ward Systems Group, Inc. All rights reserved.